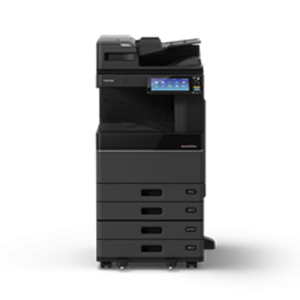 The Toshiba e-STUDIO6506AC can print, copy, and scan. 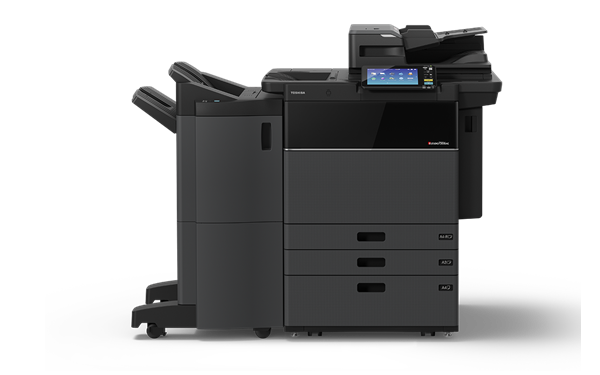 With blazing output speeds rated at 65 colour copies per minute and 75 black and white copies per minute offices will always have their files ready in time for their next meeting or client engagement. 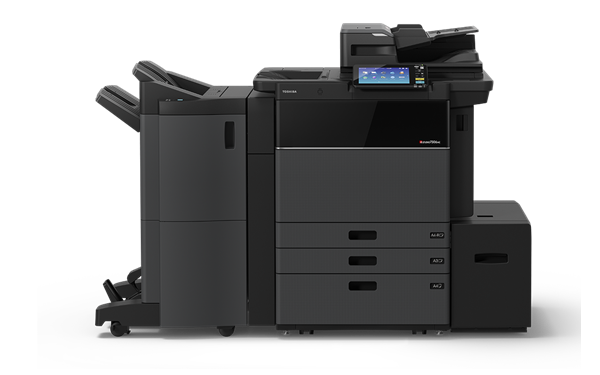 Not only does multifunction device allwo office users to print and scan documents at high speeds, but it delivers the highest quality prints with 1200 x 1200 dpi and 2 bit colour. For added convenience, office users may also print and scan directly to and from their USB thumb drives. 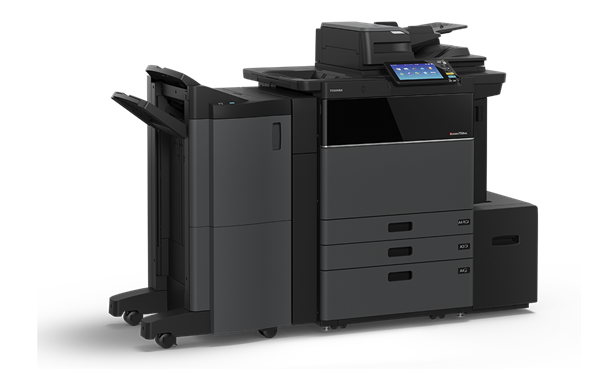 If high speed printing and lush vivid print resolutions weren’t enough, the Toshiba e-STUDIO6506AC can b edesigned to meet the needs of individual offices. The Toshiba e-STUDIO6506AC has a standard four drawer confguration (540/540/540/540) and 120 sheet bypass tray can be expanded with an optional large capacity tray that can add 2,500 sheets. 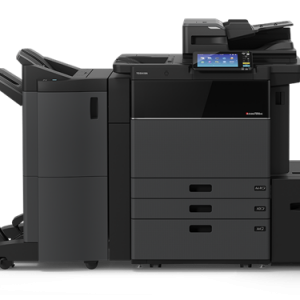 The finishing capabilities available on the e-STUDIO6506AC will give offices more capabilities to complete projects in-house. 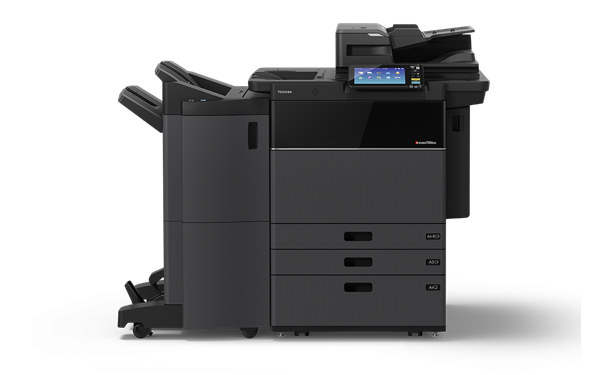 With generous toner yields the Toshiba e-STUDIO6506AC provides offices with more prints and can save your office money. The black toner cartridge has an estimated yield of 106,600 pages with an average 5% page coverage and the three colour toner cartridges each yield an estimated 39,200 pages based on 5% page coverage. This MFD has been designed to accommodate a range of optional card readers, not only provides fast and convenient access to your print jobs but also increases data security. Innovation ensures that our environment is part of the equation, which is precisely what we do at Toshiba. 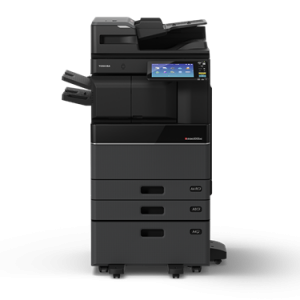 This state-of-the-art MFP is RoHS compliant and uses recycled plastics and a low-power Super Sleep Mode to save resources. Being ENERGY STAR Tier 2 compliant means this system meets the latest, most stringent environmental requirements.